Visceral images from Haley Morris-Cafiero document her response to the negative feedback and online bullying generated by her previous series, Wait Watchers, where Morris-Cafiero captured passerby gawking at her physical appearance. 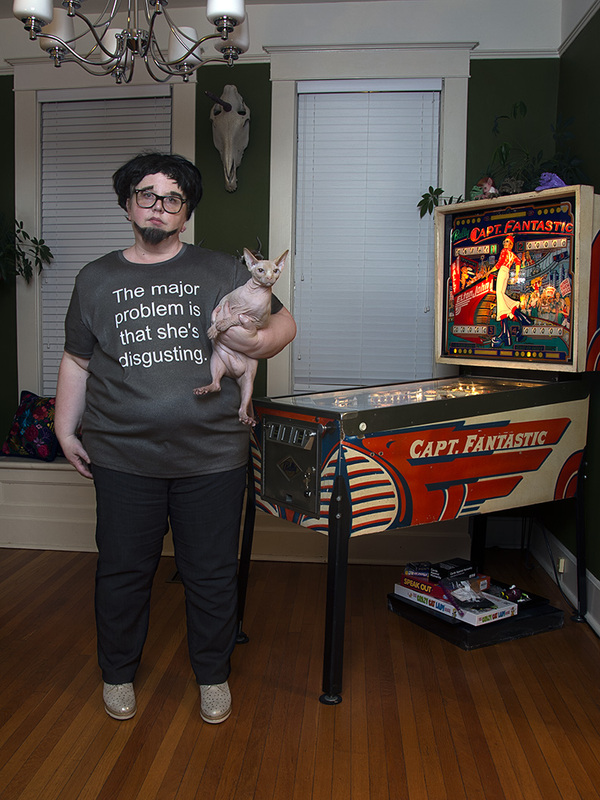 In The Bully Pulpit, she responds to the vitriolic language by researching images of the bully, dressing up like them and incorporating their insults into the picture. By turning a mirror back on the bully as well as creating a physical, real life response to the insult, she meets the gaze of her attackers by gazing right back.